I love entertaining, but I'm not as big of a fan of elaborate, fancy parties as I am casual, everyday get-togethers. Putting together the occasional elaborate celebration (see Essley's first birthday party; I'm still tired from it) can be fun, but the planning and expenses involved are often draining, and I find that there is little time to actually enjoy myself at the event. My ideal gathering to host is a few close friends at our house to chit chat, listen to music, and relax. When we do have friends over to hang out, I focus on keeping things laid back and simple when it comes to food and drink - but I do like to add a chic touch to make it feel like more than a college throw-back to a bunch of people chilling on an old ripped-up sofa drinking cheap beer. 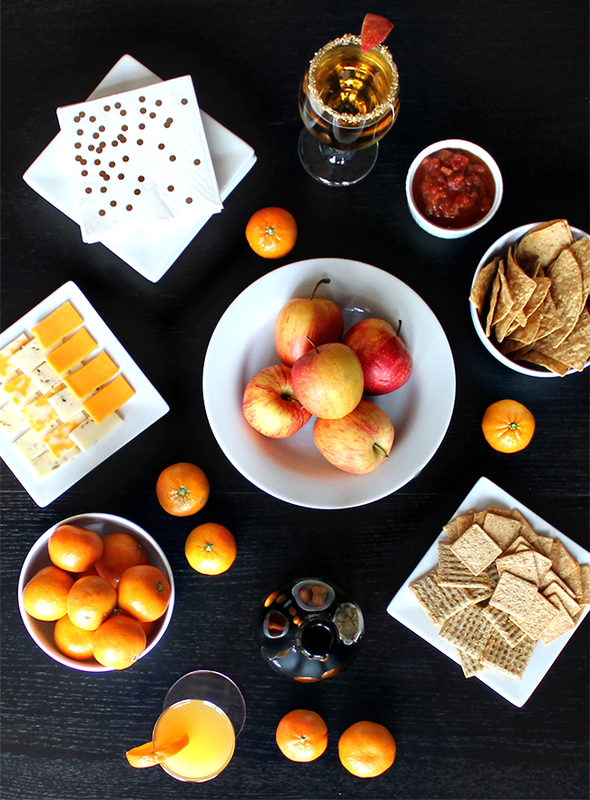 I usually serve easy snacks that I often already have around the house - cheese and crackers, chips and salsa, and maybe some olives or fruit. Sometimes I'll even just order pizzas. 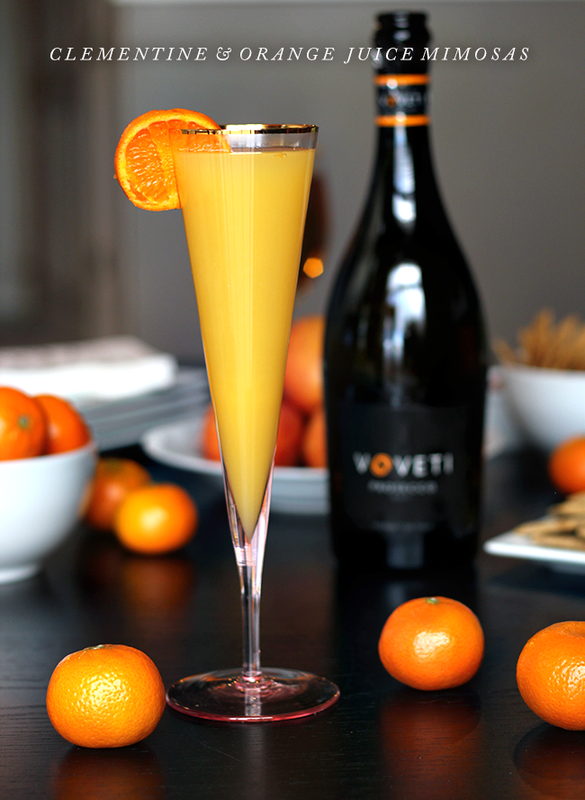 But then I'll offer up a little something fancy for the drinks, like mimosas made with VOVETI prosecco and a couple different kids of juices and pretty garnishes. Doing this makes it feel like a party, but without the extra work. And everyone seems to love it. Today I thought I'd share recipes for two of my favorite mimosas that I serve on a regular basis when we have friends over. They're so simple that I don't even know whether calling them "recipes" is completely accurate, but they're absolutely delicious. (I may or may not be counting down the days until after this baby is born and I can make myself one again!) 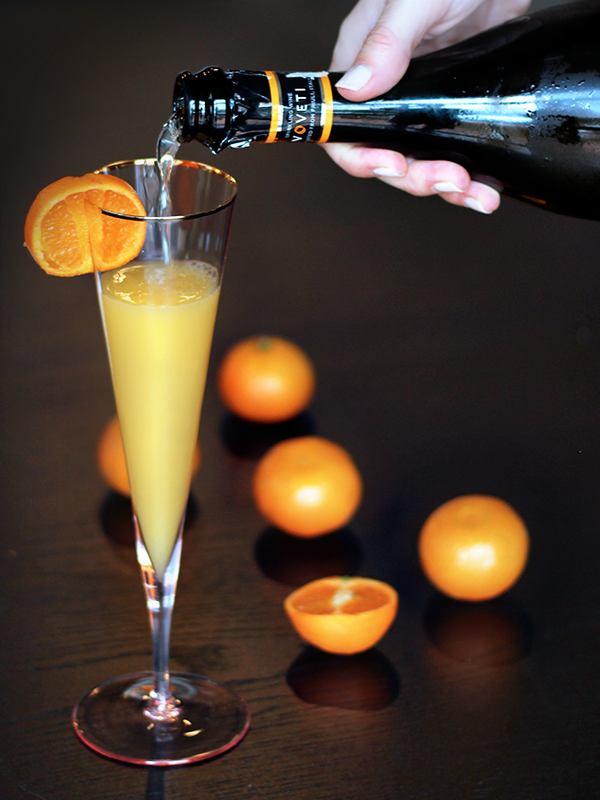 The clementine and OJ mimosas are slightly tarter and sweeter than traditional mimosas, and the apple cider mimosas are a delicious change of pace for the fall and winter months. 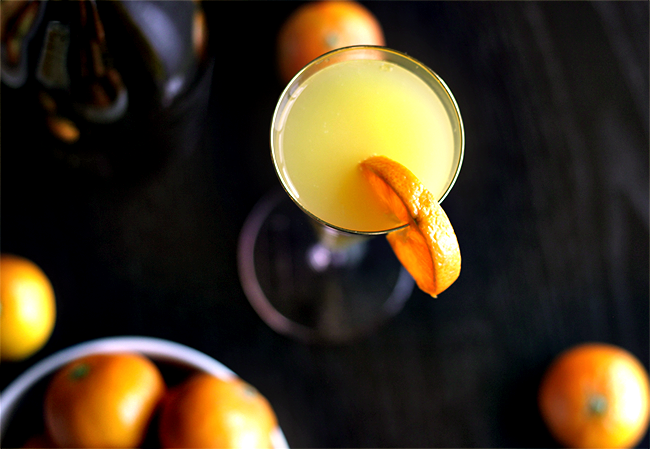 Fill a champagne flute or wine glass about half way full with orange juice. Slice open one clementine and squeeze the juice into the glass. Remove any seeds that might fall into the glass and stir. 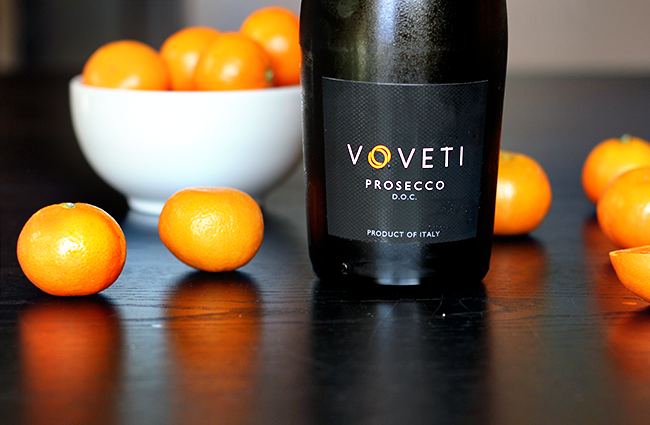 Top with VOVETI prosecco and garnish with a clementine slice. 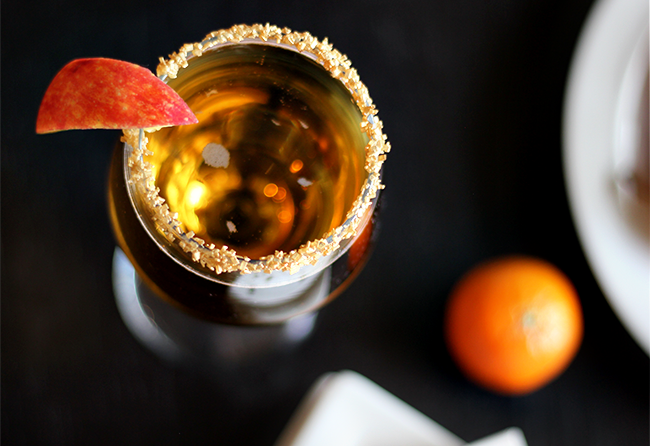 Coat the rim of a champagne flute or wine glass with water and then dip into coarse sugar (I like using gold to match the cider color). Fill the glass about half way full with apple cider or juice. 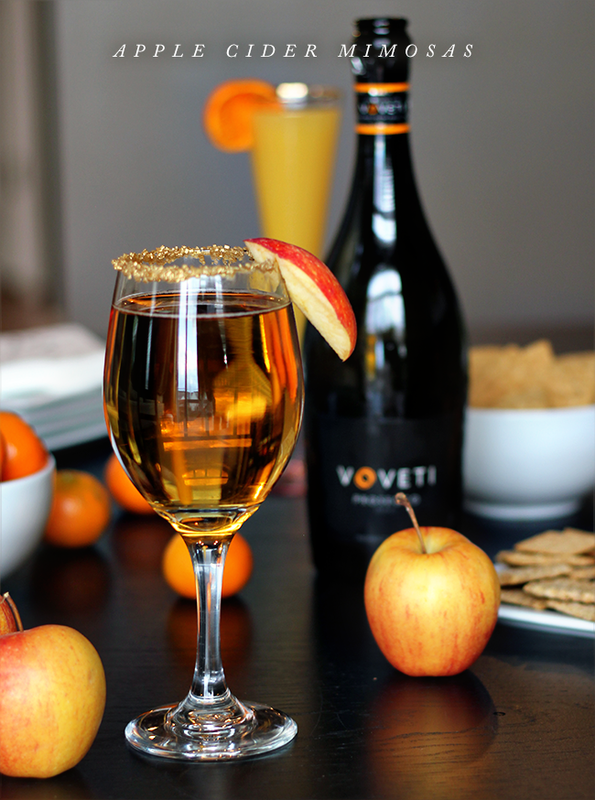 Top with VOVETI prosecco and garnish with an apple slice. 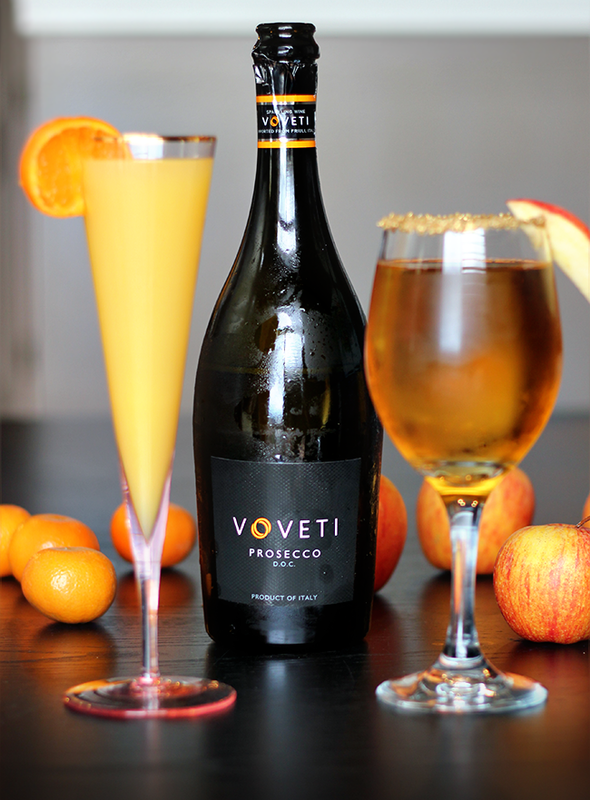 I love using VOVETI prosecco in my mimosas because it has such a delicious combination of flavors (golden apple, pear, and melon, framed by a crisp acidity), and the perfect balance of light sparkle and foam. (It's so, so good on its own too!) It's great with simple, everyday snacks like I like to serve at my get-togethers, and also incredible with antipasti, sushi, and curry dishes. I also love the fact that VOVETI is upscale yet affordable, making it ideal for everyday pairing or chic entertaining with friends. It's also a high quality, craft prosecco from Italy - only 15,000 cases are produced annually. I highly recommend trying it for your next casual gathering! Are you a fan of smaller, more laid back get-togethers like I am, or do you like hosting fancier parties? What types of food and drink do you like to serve? Mmhhh...I like both your mimosas :) The gold sugar adds a pretty and festive touch! I'd way rather host a small informal hangout than a big fancy party too. 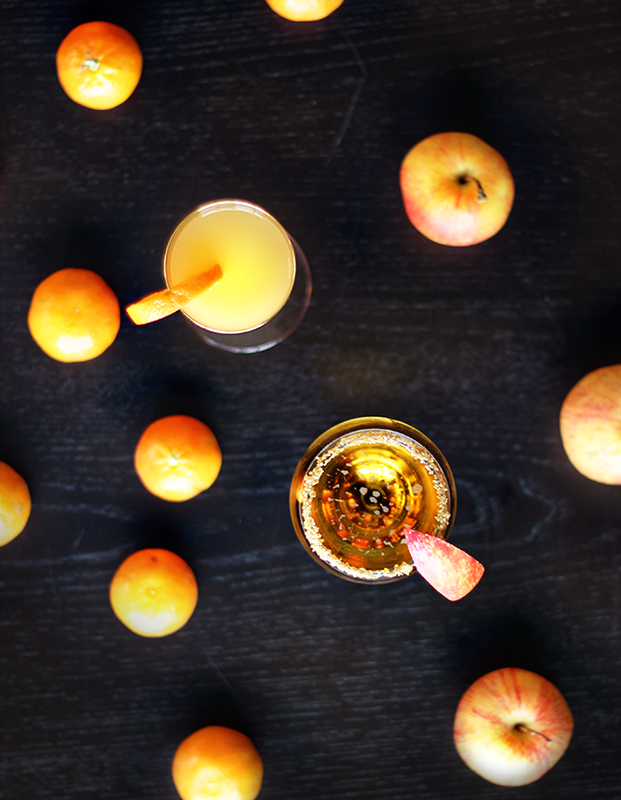 Those mimosas look so good, I never would have thought to make one with apple cider. Mmmmm my mouth is watering! These look so good. I like going to big parties but not hosting them!!! 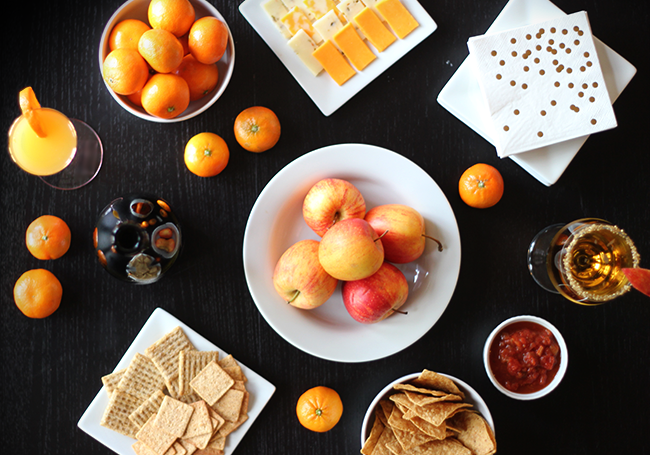 Easy snacks and mimosas sounds perfect to me! !